You have found the perfect home and your offer has been accepted. Don’t let your dream turn into a nightmare because you didn’t get a home inspection. Wenzel Select Properties has put together a checklist of information for home inspection. We recommend that you hire a home inspector who is a member of the ASHI (American Society of Home Inspectors). These inspectors are considered highly qualified and reliable. 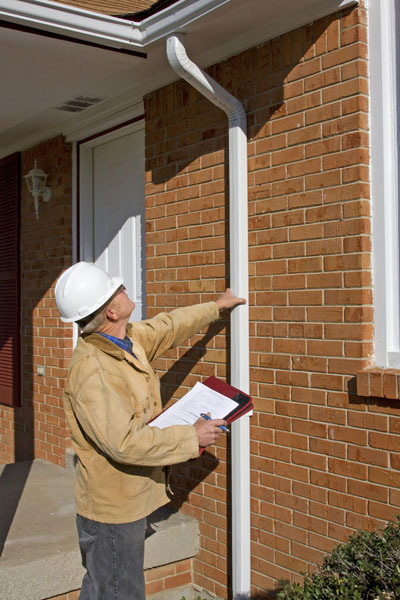 What is your Role in a Home Inspection? Choose a home inspector who is qualified and is willing to guide you through the home inspection process. Be prepared. Put together a list of questions about the house and issues you may be concerned about. Lead Paint: Homes built before 1978 may have used lead-based paint. Radon: This is a colorless, odorless, tasteless radioactive gas that comes from the natural breakdown of uranium in rock deposits. UFFI: This is a type of insulation that was sprayed in the 70’s and emits a toxic gas. How would you describe the condition of the roof? Does it require any repair? Is this home equipped to handle natural occurrences like a tornado, or flood? Are there any environmental concerns regarding the location and the zoning that I need to know about? What is your estimate of the cost of fixing the major problem areas? Will you be able to provide me with a summary of the issues in the report? Will your report include information on energy efficiency? Mold stains and odors, particularly since black mold is toxic. Treat the area to get rid of any mold. Air the home to ensure that it does not build up again. Lighting: Test fixtures, both interior and exterior, and check the electrical systems. Heating system: Test the thermostats to make sure the heating system is working. Are there carbon monoxide detectors to provide alert? Check for fire hazards and test the smoke detectors. Basements and crawlspaces should be inspected in daylight. Any exposed earth or moisture in basements should be covered and leaks plugged. Make sure the septic system is checked. This can cause a great deal of frustration and unpleasantness in the event of a breakdown. Some inspectors flush a color dye into the toilet and then see if the dye appears on the drain field. If it does, it signals a problem. Check the gutters and clear channels to ensure uninterrupted flow. Downspouts will allow the water to be directed away from the house. Get a termite inspection done by a licensed structural pest control operator. If there is a well on the premises, ensure a complete portability and mineralization test.